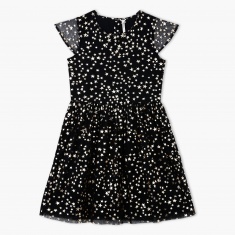 Your little darling will look like a princess and amaze everyone around her as she wears this lovely dress. 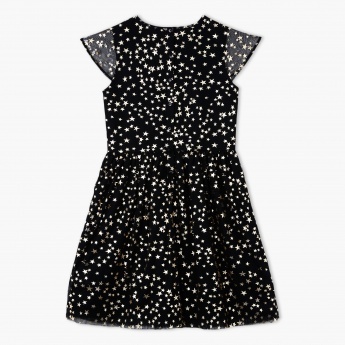 Sporting a star print on a contrasting background, this dress looks enchanting and captivating. It has a round neck and cap sleeves to add some drama to its overall appeal.